Our purpose in writing this monograph is twofold. 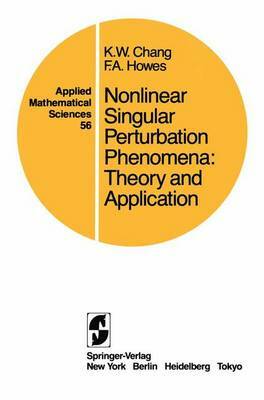 On the one hand, we want to collect in one place many of the recent results on the exist- ence and asymptotic behavior of solutions of certain classes of singularly perturbed nonlinear boundary value problems. On the other, we hope to raise along the way a number of questions for further study, mostly ques- tions we ourselves are unable to answer. The presentation involves a study of both scalar and vector boundary value problems for ordinary dif- ferential equations, by means of the consistent use of differential in- equality techniques. Our results for scalar boundary value problems obeying some type of maximum principle are fairly complete; however, we have been unable to treat, under any circumstances, problems involving "resonant" behavior. The linear theory for such problems is incredibly complicated already, and at the present time there appears to be little hope for any kind of general nonlinear theory. Our results for vector boundary value problems, even those admitting higher dimensional maximum principles in the form of invariant regions, are also far from complete. We offer them with some trepidation, in the hope that they may stimulate further work in this challenging and important area of differential equa- tions. The research summarized here has been made possible by the support over the years of the National Science Foundation and the National Science and Engineering Research Council.